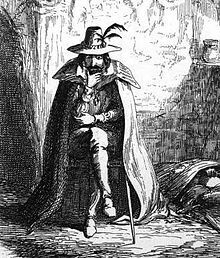 Guy Fawkes (1570 – 1606) Principal figure in the Gunpowder plot to blow up the Houses of Parliament and overthrow the Protestant King James I and restore a Catholic monarch to the throne. The plot was discovered and Fawkes executed.As the main figurehead of the plot to blow up Parliament every year on Bonfire night on 5th November, effigies of Guy Fawkes are often burned. Guido Fawkes was born in 1570, in York and went to St Peter’s school. 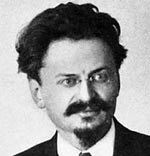 His family followed the Protestant, Church of England religion. However, after his father’s death, his mother remarried a Catholic and Guy made a zealous conversion to the Catholic faith. In 1591, he sold his father’s estate and went to Spain to enlist in the fight against Protestant Netherlands. By the turn of the Century (1600), Protestant England was increasingly suppressing the Catholic faith, and the Catholic religion had to be practised in private. In 1603, Guy Fawkes even went to Spain to try and persuade Phillip III to invade England. He was unsuccessful in his mission. On his return to England, he was recruited by Robert Catesby in an ambitious plot to blow up Parliament, kill King James, and put the Catholic, Princess Elizabeth on the throne. Guy Fawkes was chosen to play a lead role in the plot; he was chosen because of his mixture of piety and professionalism. The plotters rented a space underneath Parliament and they smuggled in many barrels of gunpowder. 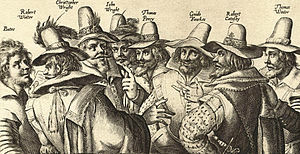 Guy Fawkes was planning to light the fuse when King James was in attendance for the opening of Parliament. 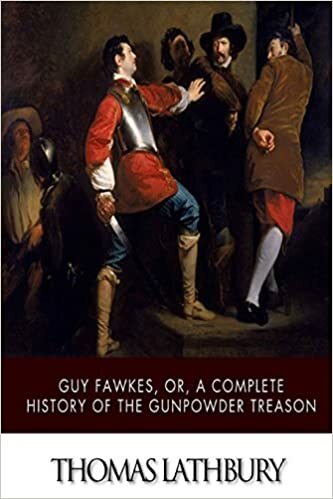 However, at the last minute, the plot was betrayed and soldiers went to the cellar to find Guy Fawkes with matches in his hands, next to the gunpowder. Fawkes tried to blow the powder up straight away, but he was overpowered before he had a chance. Guy Fawkes was taken to the Tower of London where he was tortured on the rack; this torture caused him to reveal the name of those involved in the plot, and all the main protagonists were caught. 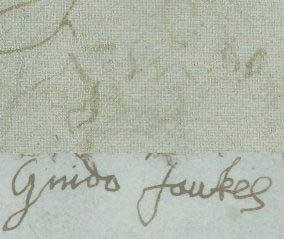 Guy Fawkes was hung, drawn and quartered outside parliament on the 31st January 1606.
left- Guy Fawkes’ signature of confession after torture. The failed plot is celebrated as Bonfire night with fireworks and big fires. Citation: Pettinger, Tejvan. “Biography Guy Fawkes“, Oxford, UK. www.biographyonline.net, 11th Feb 2013. Last updated 28 Feb 2018.